The Kentucky Derby Limit still holds! The 144th Kentucky Derby was held on May 5, 2018. Originally, the race was 1.5 miles long; but in 1896 the distance was decreased to 1.25 miles, and it has been that length ever since. 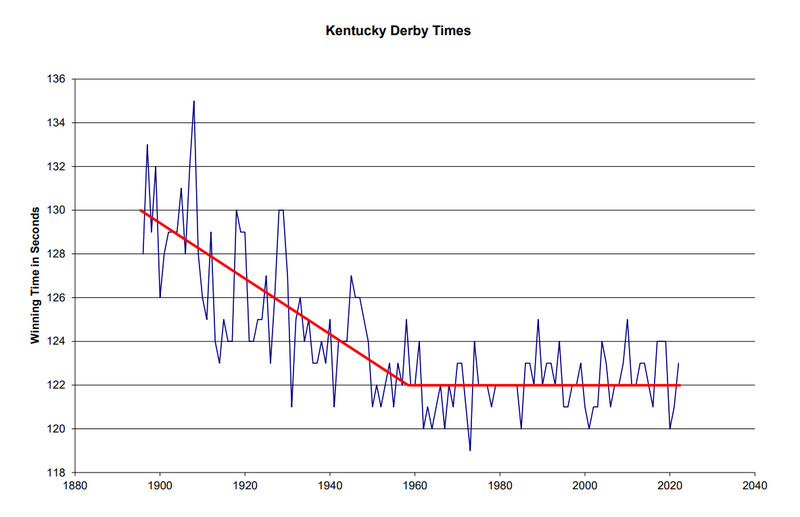 So, this month’s race was the 123rd modern length Kentucky Derby. Our prediction was justified when Justified won the Kentucky Derby in 124 seconds this year.